Posted by Edwin Ritter in Cloud Computing, Trends. via Gartner Marketing Technology Map May 2016 — What’s The Big Data? Interesting visual on this topic. Posted by Edwin Ritter in career. I learned a long time ago that being good in one thing can limit your career. I did not limit myself and have worked as a software programmer, system administrator, project manager and supervisor. I quickly learned that moving into each new role requires a change in focus and leads to new insights as to how teams interact. In each role, I have always worked with software development teams in one capacity or another. Over the last two months, I set a goal for myself to re-new my skills (and learn new ones) in software programming. The web is so good at providing learning resources and somehow, I found my way to the CodeAcademy web site. It tracks your progress and also awards badges and points, like a video game. The first day, I ‘earned’ 68 points and getting back into coding was easier than I thought. I started with a HTML refresher and quickly re-gained a developer frame of mind. While the tools are different since my first job, the actual coding is similar to the bike riding syndrome. I then began using the site every day and started a consecutive day coding streak. Each day, I learned more about HTML and moved on to CSS, Java and gained insight into working with jQuery, PHP, Python and Ruby. I find an affinity to the server side apps of PHP, Ruby and Python. My recent daily learning regimen using Codeacedemy has just ended. I worked my way through 1000 exercises over a consecutive 60 day period. On weekends and holidays, it took a concerted effort to find the time to code. During this streak, I also installed Eclipse IDE, created an account on JSFiddle and reviewed Oracle Java training also. Also a bonus, my MAC OS provides access to the java complier and Ruby via the command line as they are built in to the OS. The command line brings me back to the old days….<insert favorite old soldier story here>. I’m not done yet and there is always more to learn. My intent here is to keep improving my skills. 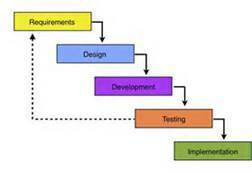 Having always worked with technical people, I understand the software development process from different perspectives. I also know that being able to ‘wear different hats’ is a positive and makes me more marketable. Now that I am riding the coding bike once again, I am comfortable working on these applications as part of a development team. I also bring my experience and perspective as a project manager, supervisor and system administrator to the table. I continue to code and to learn about syntax intricacies and improving on my skills. If you have programming skills, you may be aware of the site I used. For new programmers, it is a good place to consider – especially, since it is free. I like the Eclipse IDE (also free) and have also used DreamWeaver in the past. Oracle provides a good overview with Java also. Everyone builds their toolkit over time. I am refreshing mine and adding new ones. Moore’s Law is a well-known axiom that technology advances occur every 18 months. Initially described in 1965 by Intel co-founder Gordon Moore, this effect still holds true. Initially, it dealt with the density of transistors installed on a printed circuit board. Moore stated that the number rises every 24 months. This was possible due to advances in technology in circuit design, chip manufacture and so on. Another Intel exec later revised the time frame to 18 months (perhaps the more commonly know timeframe). 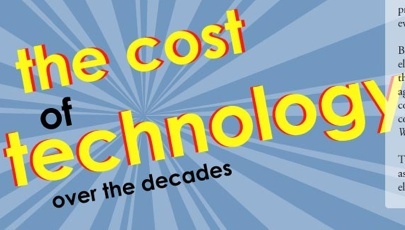 Here is an infographic which shows changes in both technology and their related cost from the 80’s to present day. This is a demo of Moore’s Law in action. It shows changes in popular electronic devices. It includes a range of products with the initial price and then normalized to present day prices. Lots of changes in the last 30 years. A great example is the comparison in cell phones. 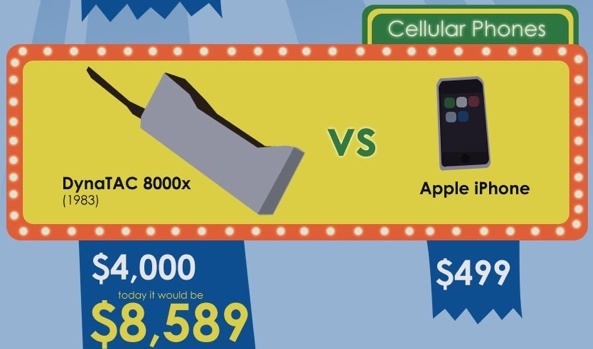 Initially, a cellular telephone cost $4,000 ($8500+ today) as compared to a current iPhone that costs $500. Big difference with so much more capability at significantly reduced cost. Like most good things, Moore mentioned in 2005 that this is finite. In an iterview he stated “It can’t continue forever. 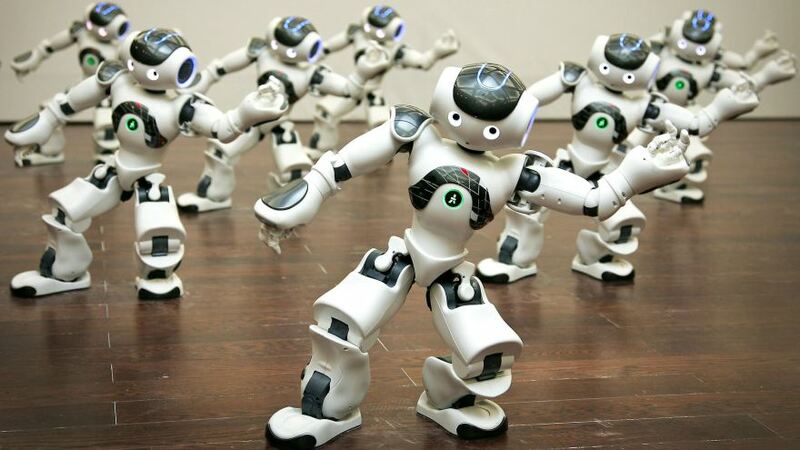 The nature of exponentials is that you push them out and eventually disaster happens”. So there is a limit. I don’t know when we will reach the end. For now, I’m glad the law still holds for electronics and other industries as well (e.g. – cars, appliances). I wish it worked for furniture! Among the many trends expected for 2012, I think video consumption will see the biggest change. I base this in part from my own biased observations, anecdotes with my friends and from the video highlights of Mashable’s recent media summit in November. The link includes a video where each of these topics are discussed. Here is a summary of the 2012 prognostications as described by Mashable’s own Pete Cashmore. The interface evolution from CUI to GUI will continue to evolve with Touch. Apple devices started this awhile ago with gestures and magic mouse. Now, Smartphones, tablets and even some basic phones include touch screens. Expect to see new screens and new devices use touch technology. More choices for Aggregation services. Managing the data stream coming at you from news, weather, sports – whatever the topic of interest, expect to see more apps. Examples include flipboard, pulse and livestand. Life after the iPad – advances in ereaders and other tablet competitors will drive the market. Expect to deals on these devices along with feature, function improvements and price point changes. Social gestures – do you share everything? Do you want to? Privacy issues will push what is our commonly accepted practice to share & manage information. TV Everywhere (my pick for biggest impact). Video consumption from any device will continue. On demand – what we want, when we want and where we want it. Cable companies will continue to explore ways to grab and maintain market share by enabling devices beyond the TV (iPad, smartphone). The 2nd Screen experience – interactive TV let viewers engage with the shows they are watching. Think polls, audience feedback in real time, viewers multi-tasking, enriching the video experience via Social Media apps. Speaking of which – more TV & Movie marketing apps. This could lead to a new distribution channel for trailers and teasers. Social Music – more apps like Rdo, Mog and Spotify. These apps and others will integrate the social gestures mentioned above. Best of the rest includes advances with HTML5, flexible displays, iTV (that video impact again) and several option in push-based media. Among them location based news and media using near field communications (NFC). Looks like 2012 will be an interesting year. Video consumption will not only impact cable companies but also content producers. TV shows will fragment into smaller digestible chunks on any device capable of streaming video. Cable companies will need to be able to provide bandwidth on demand. I also hope that we consumers will push for flat-fee services, not usage based. Flexible display may be a way off for the main consumer but might be one of the hot products at CES this year. Remember, you heard it hear first. What trends are you going to watch?